Sens. 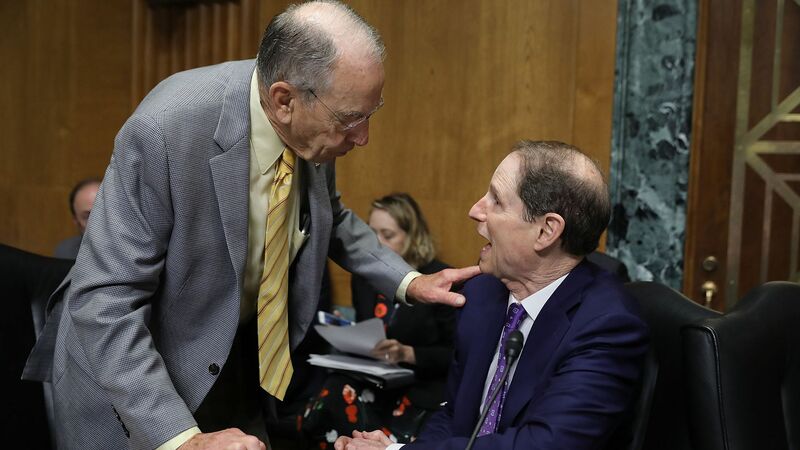 Chuck Grassley (R-Iowa) and Ron Wyden (D-Ore.) — the incoming chair and ranking member of the Finance Committee, respectively — plan to introduce a bill cracking down on the kind of tactics Mylan used to pay lower Medicaid rebates for EpiPens. Why it matters: This is a strong signal that there's room for the committee to work together on drug pricing issues next year. Details: EpiPen was misclassified as a generic drug within the Medicaid drug rebate program, which resulted in Mylan paying less in rebates and causing taxpayers to overpay as much as $1.27 billion over 10 years, according to one government estimate. The Grassley-Wyden bill gives HHS the explicit authority to reclassify drugs, recover incorrect rebate payments and fine companies that knowingly misclassify drugs. It also requires HHS to submit reports to Congress on how its new authority has been used.